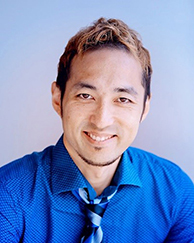 Tetsuya Kaji is Assistant Professor of Econometrics and Statistics at the University of Chicago Booth School of Business. Kaji works at the intersections of economics, statistics, and machine learning. His research is directed toward the development of practical solutions to applied econometric problems, statistical assessment of these solutions, and fundamental understanding of nonstandard econometric problems. Recent projects include the study of empirical processes, semiparametric foundations of weak identification, incorporation of estimation error in financial risk management, and effective adaptation of artificial intelligence techniques in economic applications. Kaji was among the first to receive the interdisciplinary PhD in Economics and Statistics from the Massachusetts Institute of Technology. He also holds a MA in Economics from the University of Tokyo. He joined the Chicago Booth faculty in 2018.